Inhumanity and revisionists. | Hand Luggage. 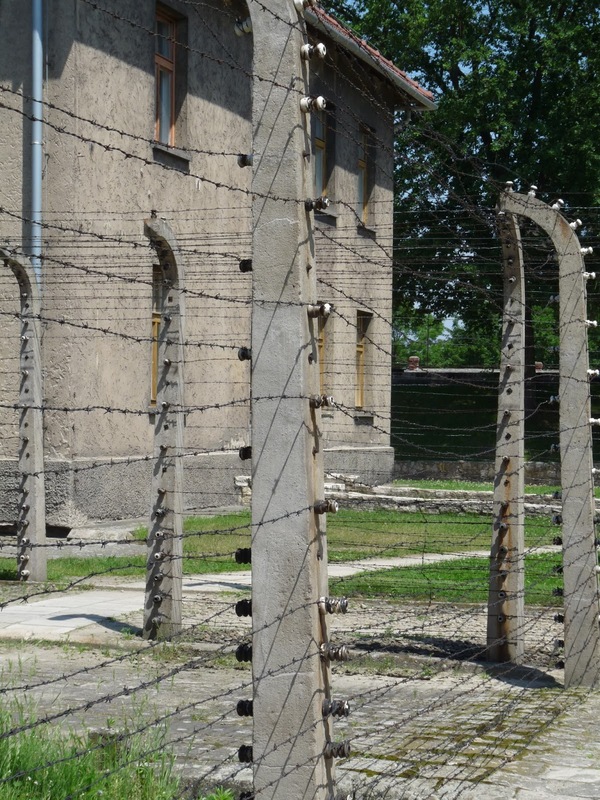 As you pass under the infamous metal archway that serves as the hideously iconic entrance to Auschwitz 1 you begin to notice the barbed wire that winds its way around the perimeter and the watch towers that are positioned about the camp. The lines of brick buildings are neatly spaced and perfectly preserved. Taken out of context they would give no hint of the inhumanity that they represent. The site for the camp had originally served as Austrian army and later Polish army artillery barracks so the brick buildings are solid looking and done with some care. The first prisoners arrived in May 1940 but by March 1941 nearly 11,000 people were imprisoned there, most of them Poles. 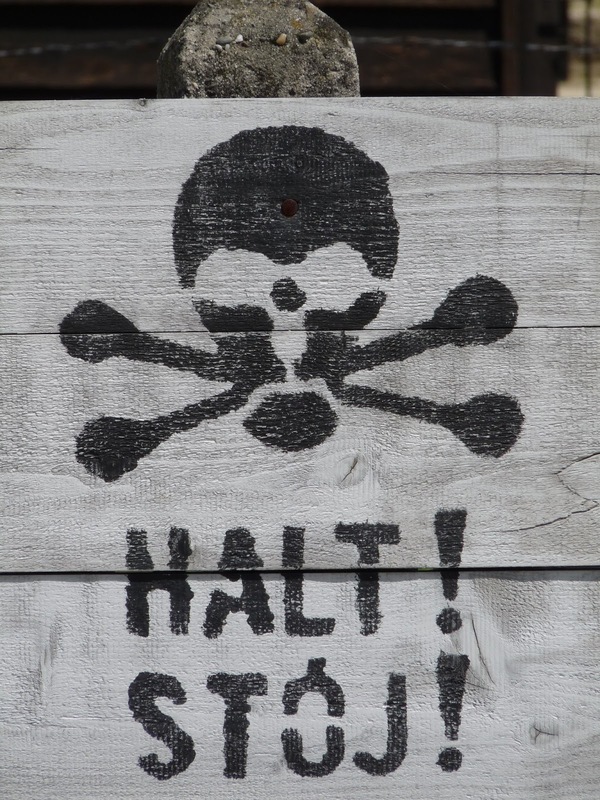 On September 3, 1941, an experiment was carried out on Russian POWs and Polish inmates when they were gathered in the basement of Block 11 – known to the prisoners as the death block – and gassed with Zyklon B. Following this first extermination a gas chamber and crematorium were constructed and operated from 1941 to 1942, during which time some 60,000 people were killed before it was deemed not efficient enough. 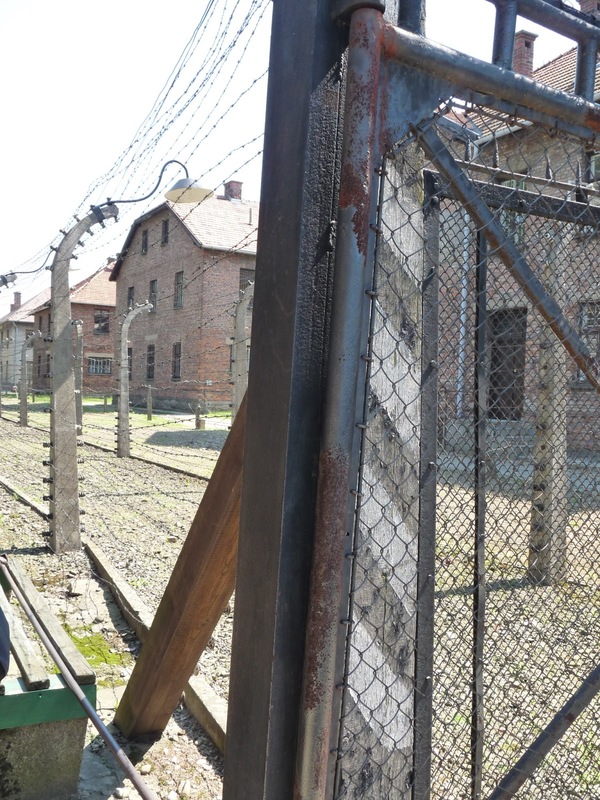 The Nazi’s then constructed Auschwitz 2 – Birkenau with its four huge gas chambers. The majority—probably about 90%—of the victims of Auschwitz Concentration Camp died in Birkenau. This means around a million people. The majority, more than nine out of every ten, were Jews. The gas chamber in Auschwitz 1 was destroyed but later reconstructed after the war and it was here that the feeling of dread was palpable. The low ceiling room is blackened and claustrophic with holes in the roof where the Zyklon B was dropped into the room. The crematorium, with its reinstated ovens is a place where it still feels hard to breathe. 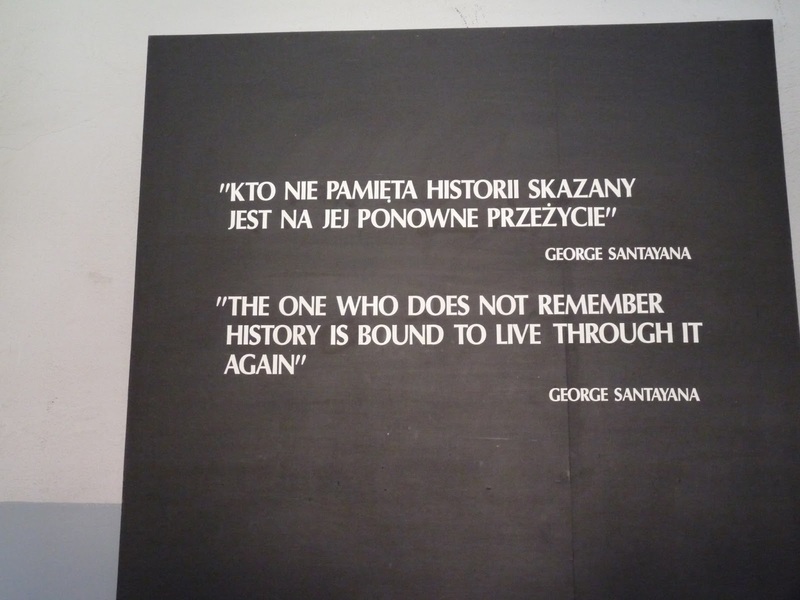 There is an going debate about the authenticity of Auschwitz 1’s chamber and crematorium by so called “historic revisionists” ie Holocaust deniers. These same people deny the existence of any gas chambers at all in any of the camps.